Roz, See You On The Moon! 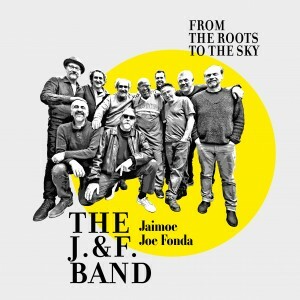 A fantastic double CD featuring legendary Allman Brothers Band drummer JAIMOE and his long time pal, bass giant JOE FONDA, plus a selection of Italian jazz aces (Tiziano Tononi, Alberto Mandarini, Gianluigi Paganelli, Beppe Caruso) and Finnish/American guitar master Raoul Björkenheim, and some other guests. A massive effort that covers a fantastic spectrum of creative music: soulful jazzy ballads and instrumentals, Southern funk rock covers, complex avant jazz rock pieces, extended improvised jams and more.